Mr. Nabil SAADALLAH is a Geoscientist with 17 years in petroleum industry. He began his career at Sonatrach Exploration Department (Algeria) as Structural Geologist and Seismic Interpreter, contributing to exploration efforts in Algerian and Malian basins for 14 years, including 5 years in the South West Basins (Ahnet, Tindouf, Timimoun, Gourara, Regane…) which are characterized by the Tight reservoir of Ordovician sandstone and 4 years in the complex geological area of North of Algeria (Alpin province) In 2013, he was employed by AGOCO (Libya) in consultant role, undertaking project for structural analysis and prospect generation in Sirte basin. Mr. Nabil joined GOGeo engineering team in 2014 as Geoscientist Gonsultant in charge to integrate geological aspect (QI, Seismic stratigraphy and structural geology analysis) in reservoir characterization of several fields in Iran. In August 2017, he worked as Principal Geologist with WSI (Well Services of Iran) in the reservoir characterization project of the Ahwaz oilfield. Since September 2018 he joined Dana Energy as Geoscientist Consultant, in charge for the first project to carry out a quantitative structural interpretation in order to guide the seismic interpretation of a low data quality in the Mansour Abad oilfield. 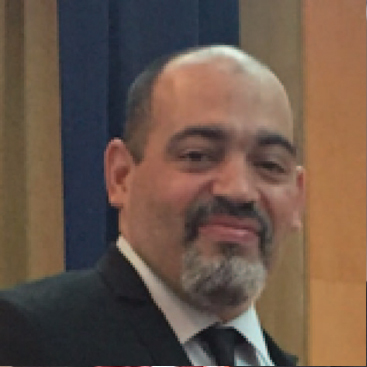 Mr. SAADALLAH is the geoscientist consultant for the OilGas-Solutions company in Algeria since 2017, which is a company multi-discipline consultancy company acing in the oil and gas upstream domain in particular in the wells related projects. His major contribution through this experience is to advise and provide support to the project teams regarding kinematics, fault interpretation, structural modelling, Seismic stratigraphy interpretation, back steeping and fracture modelling whit the integration of seismic inversion and AVO process result in reservoir characterization. Mr. Nabil SAADALLAH is a graduate of University of sciences and technologies of Algiers and holds a M.S. in Structural geology in 1997.